We spend so much time thinking about the rooms we use regularly, like our bedroom, kitchen, bathroom or sometimes that spare room, if we are lucky enough to have one. Maybe your spare bedroom is a new addition or your child graduated college last month and isn’t moving back home. Now you have this extra room staring at you and you don’t know what to do with it. In this day and age where less is more, having a room in your home that goes unused is nothing more than a waste of space. Sure, you could throw a bed in there for visitors but if left unused it could become a larger version of your junk drawer. 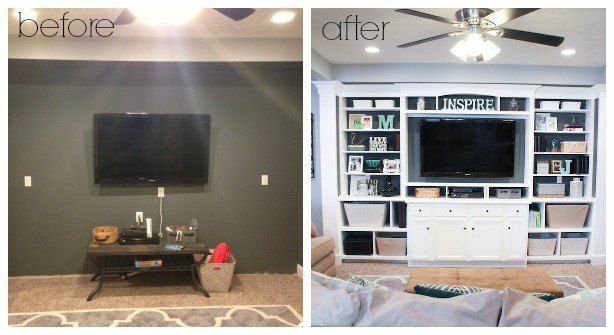 Here are some DIY ideas for turning that spare bedroom into a useful space. If you are a DIY junkie, which is possible since you are reading a DIY article on a DIY website, then you could also be a person who gets into crafting. Whether it’s painting terracotta pots or decoupaging tiles and making them into coasters, these projects tend to pile up and, if you don’t have a designated area for your supplies, things can get out of hand. 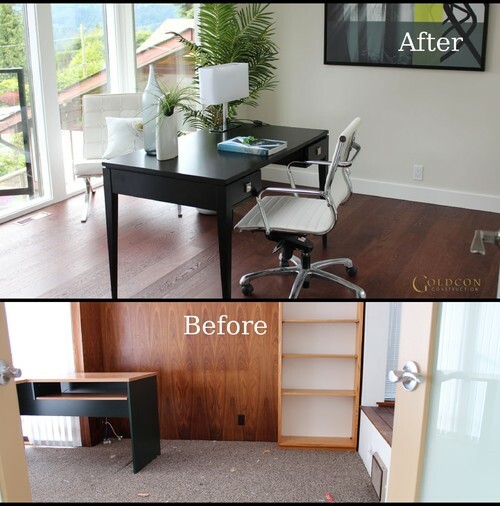 It could benefit you to take that unused space in your home and use it to make creative projects. If you still want the room to serve as a guest bedroom, then you can keep a bed in there. You can get a pullout sofa, a futon, or a Murphy bed option. There are great mattresses available for any style of bed and you can read about a few of them here. You can convert your daughter’s old dresser as a supply chest or pull that old table into the room and throw a tarp over it. If you want to give an old furniture items you are repurposing a new look, just throw a coat of paint over it and surprise! A brand new shelving unit for supplies. Maybe your craft of choice is writing, like mine. Or you might be a person who likes to dabble in the stock market as a hobby. Whatever your hobby of choice might be, you need a space to conduct your work. You may be used to spending your time using the laptop at your dining room or kitchen table but now you have this free room. Since this is a DIY project, you can use your kids desk from their room or, that spare table we spoke about in the craft room section, pull that into the room and make it into a desk. There are so many things you can do with an entertainment room. Having fun with your family doesn’t have to be excluded just to the television. An entertainment room could be the designated location for your family when they want to watch a movie, play a video game, or get together for a round of Monopoly. In this type of room, a concealed bed would work great if you also want it to serve as a spare bedroom. Do you play an instrument? Do your children or your partner? 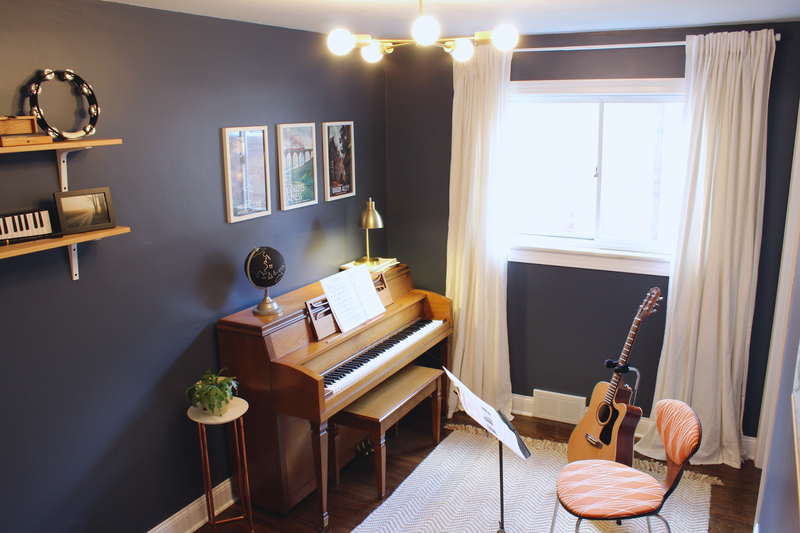 If you all like to put a few chords together as a family or sit around the piano and sing a few songs then this room could be used for that purpose. All you need to do is move the musical instruments that you have in the house and display them in that room. You can take that old rocking chair in your den and put it in there as well. 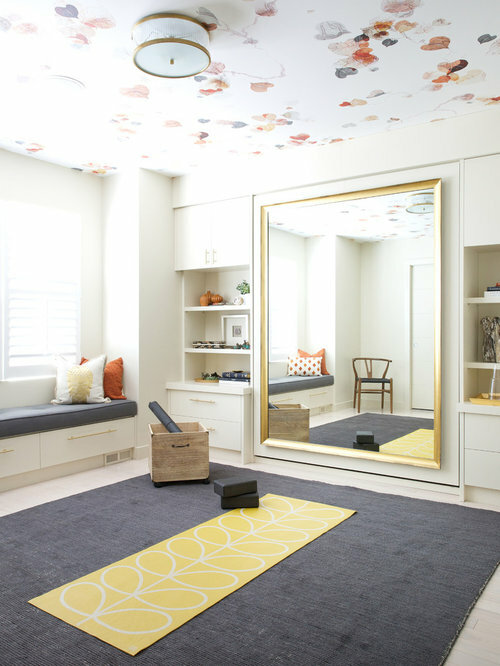 I know I just wrote that you don’t want to use this spare room as a closet but a dressing room is much more than that. This is a room where you make yourself look fantastic. Just add a chair and a nice long mirror, then your vanity. If you’ve always wanted a vanity, there are plenty of thrift options out there since this style of furniture goes way back. The idea here is to free your bedroom from your getting-ready-ritual and moving it to your own private room. If you share your bedroom with a spouse then this could be freeing for the both of you. There is nothing wrong with creating a space that is all your own. This could be anything it means to you. Do you love to meditate and do yoga? Then this could be the focus of your room. Or you might enjoy reading and collecting books. Then build some shelves and create a library. The best thing about this spare room is the opportunity to make it into something just for you. Having a place in our home where we can reel in your energy and focus on the things that are important to you. If you share your home with others, it’s a great stress reliever to have a sacred space just for you. A spare room can be used for so many things. You don’t have to focus on one of these ideas and can create a combination of one or more. The idea here is to create a space for yourself that will give you room for relaxation or creation, or both. It’s completely up to you.